Rob is a Director of Development Land in CBRE and handles a large portfolio of development land sales in Dublin and throughout Ireland. 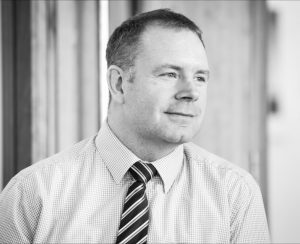 Rob has 17 years’ experience as a commercial property agent in Ireland and the greater Dublin area, specialising in development land sales & consultancy, office & retail agency. Rob has been involved with several Dublin Docklands properties including Barrow Street (Google), the Grand Canal Docks (Waterways Ireland), Grand Canal House, Portview House, Sir John Rogerson’s Quay (State Street Bank), North Wall Quay (Former Anglo Irish Building – Project Wave site), Macken House on Mayor Street and Castleforbes Road and the South Bank site in Ringsend. Rob has worked directly for Liam Carroll, one of the largest landlord’s and developers in Ireland and was involved in site acquisition in the Dublin Docklands and managed the lettings process of a very large portfolio of commercial properties. This included 54 acres of land in the Dublin Docklands, plus managing and assisting a team of over 10 different estate agents throughout the commercial lettings process.